VANCOUVER, B.C. 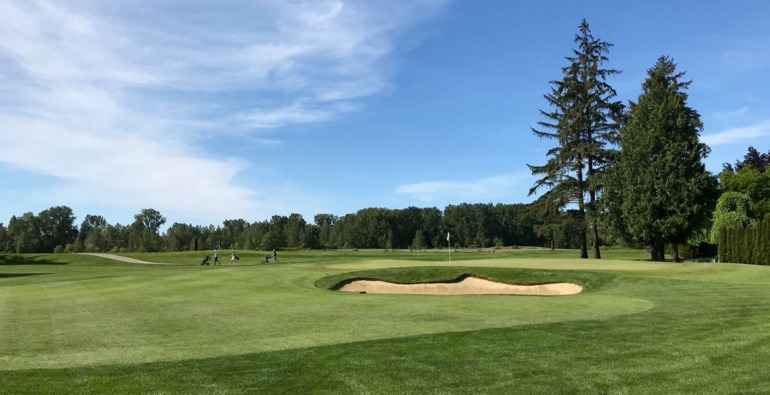 – Marine Drive Golf Club is prepared to host the world’s premier female amateur golfers from July 23-27 for the 105th playing of the Canadian Women’s Amateur Championship. The top-two ranked players on the World Amateur Golf Rankings (WAGR) headline the 156-player field as Marine Drive hosts the Women’s Amateur Championship for the first time. World No. 1 and defending champion Jennifer Kupcho headlines the group alongside Lilia Kha-Tu Vu (No. 2) and Patty Tavatanakit (No. 6). Designed in 1922 by the late Arthur Vernon Macan, Marine Drive has been home to many champions. The 6,300 yard, par 71 course is known for its difficulty and has continued to provide an exceptional test of golf. Macan will be celebrated at RBC Hall of Fame Day on July 24 during the RBC Canadian Open as one of two inductees this year into the Canadian Golf Hall of Fame for his excellence in Canadian golf architecture. LPGA stars Brooke Henderson (2013) and Ariya Jutanugarn (2012) are two of many great champions to have hoisted the Duchess of Connaught Trophy before moving on to the professional ranks. In 2018, the Marlene Streit Trophy will be awarded to the runner-up for the first time since its retirement in 2006. Streit, a Canadian golf Hall-of-Famer, holds the record of 11 victories at the Canadian Women’s Amateur. All four members of Team Canada’s Amateur Squad will be in attendance: World No. 16 Maddie Szeryk (London, Ont. ), No. 26 Jaclyn Lee (Calgary, Alta. ), No. 177 Naomi Ko (Victoria, B.C.) and No. 249 Grace St-Germain (Ottawa, Ont.). Céleste Dao of Notre-Dame-de-l’Île-Perrot, Que., will be joined by her fellow Team Canada Development Squad members Monet Chun (Richmond Hill, Ont. ), Ellie Szeryk (London, Ont.) and Alyssa DiMarcantonio (Maple, Ont.). In addition to Kupcho, Vu, Tavatanakit, Szeryk and Lee, players in the field from the top-30 world rankings include Mariel Galdiano (No. 19), Haley Moore (No.25) and Emilia Migliaccio (No. 27). Also included in the field is Avril Li, who earned her spot in the event after winning the 2018 Canadian University/College Championship. A practice round will be conducted on July 23 prior to the championship’s opening round. Following the first two rounds of play, the field will be reduced to the low 70 players and ties. A tie for the championship will be decided by a hole-by-hole playoff immediately following the conclusion of play. An inter-provincial team championship will take place in conjunction with the first two rounds of play. 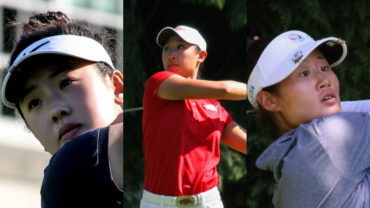 British Columbia’s Naomi Ko, Michelle Kim and Gloria Usu Choi claimed the team title in 2017. 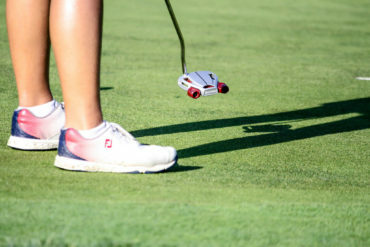 The winner of the Canadian Women’s Amateur Championship will earn an exemption into the CP Women’s Open from Aug. 20-26 at the Wascana Country Club in Regina, Sask. For more Information on the 2018 Canadian Women’s Amateur Championship including the full field, starting times and live scoring, click here. Maddie Szeryk of London, Ont. The National Amateur Squad member is the highest ranked Canadian in the field (No. 16). The three-time All-American golfer already has two wins in 2018: the Bruzzy Challenge and Dale McNamara Invitational. In 14 events this season, the 21-year-old has five top-five finishes and eighteen top-twenty finishes. She captured both the BC Women’s Amateur Championship and Women’s Western Amateur Championship. Jaclyn Lee of Calgary, Alta. The Team Canada National Amateur Squad member has made a name for herself this season with wins at the NCAA Big Ten Championship and Westbrook Invitational and six top-ten finishes, including a tied for fifth at the NCAA Women’s Medal Championship. The 21-year-old recently climbed up ten spots to No. 26 in the world rankings after a strong showing at the Meijer LPGA Classic and making it to the semi-finals at the Ladies British Open Amateur Championship. Jennifer Kupcho of Westminster, Colo. The defending champion and current world No. 1 has three wins so far this season: the NCAA Medal Championship, the NCAA Tallahassee Regional and the Bryan National Collegiate. Kupcho won the event last year by a 5-stroke margin. The 21-year-old amateur most recently finished T16 at the Marathon LPGA. Lilia Kha-Tu Vu of Fountain Valley, Calif. The current world No. 2 has four victories in 2018 so far: the Pac-12 Championship, the Arizona Wildcat Invitational, Bruin Wave Invitational and the Northrop Grumman Regional Challenge. The 20-year-old placed second in this event last year. The current world No.6, Tavatanakit has won three of the seven 2018 tournaments she has played in, including the NCAA San Fransisco Regional, Pac-12 Championship and Silverado Showdown. 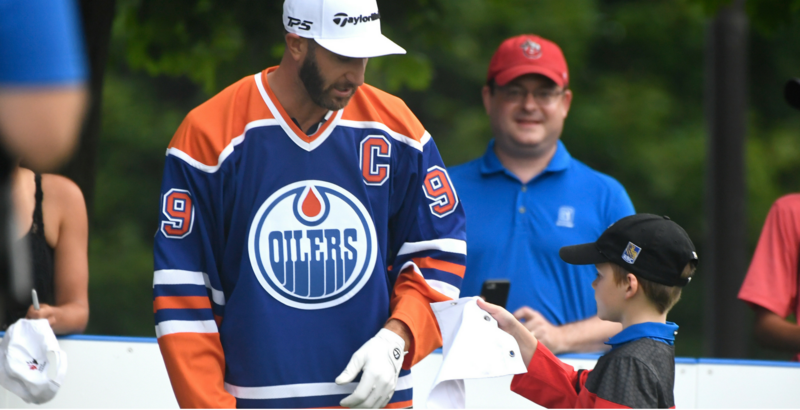 Canadian Women’s Amateur Championship is among the oldest golfing competitions in Canada. The champion will earn an exemption into the CP Women’s Open from Aug. 20-26 at the Wascana Country Club in Regina, Sask. Ten provincial teams with three players each will compete in an inter-provincial championship that will take place in during the first two rounds. The Canadian Women’s Amateur Championship is an ‘A’ ranked event on the World Amateur Golf Ranking. Last year’s champion: Jennifer Kupcho from Colorado, current world No. 1 amateur golfer. During the 1901 season, the Royal Montreal Golf Club in Montreal, Que. hosted the first competition which was won by Canadian Lillas Young. Canadian Marlene Streit has the most wins at the event (11) in its history: 1951, 1954, 1955, 1956, 1958, 1959, 1963, 1968, 1969, 1972, 1973. Canadian Mary Ann Lapointe is the oldest to ever win the event at 44-years-old. Judy Darling Evans and Dora Darling are the only mother-daughter combo to win the event. Five golfers have won the tournament at least three years in a row: Mabel Thomson, Dorothy Campbell, Marlene Stewart Streit, Debbie Massey and Lisa Meldrum. The Duchess of Connaught was donated in 1914 as the new championship trophy, Dorothy Campbell had won the Lady Grey Trophy outright in 1912 after her third consecutive victory. The tournament was not held between 1939-1946 because of WWII. The Marlene Streit trophy, awarded to the runner-up, will be returning for the first time since its retirement in 2006. Designed by A.V. Macan, who will be inducted into the Canadian Golf Hall of Fame at the 2018 RBC Canadian Open. Host Club for past Canadian Men’s, Men’s Senior and Junior Boys Championships.